Katie, Rebecca, and Civic Engagement are hanging out at open mic night in Penfield Library. 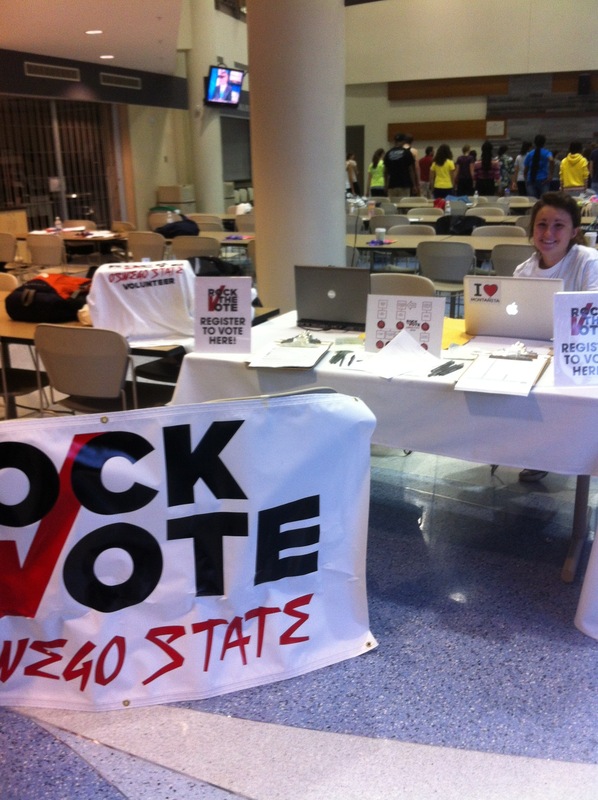 We have election information, registration forms, and free stuff! Lifestyles also has coffee and snacks for during the performances. Hey SUNY Oswego! 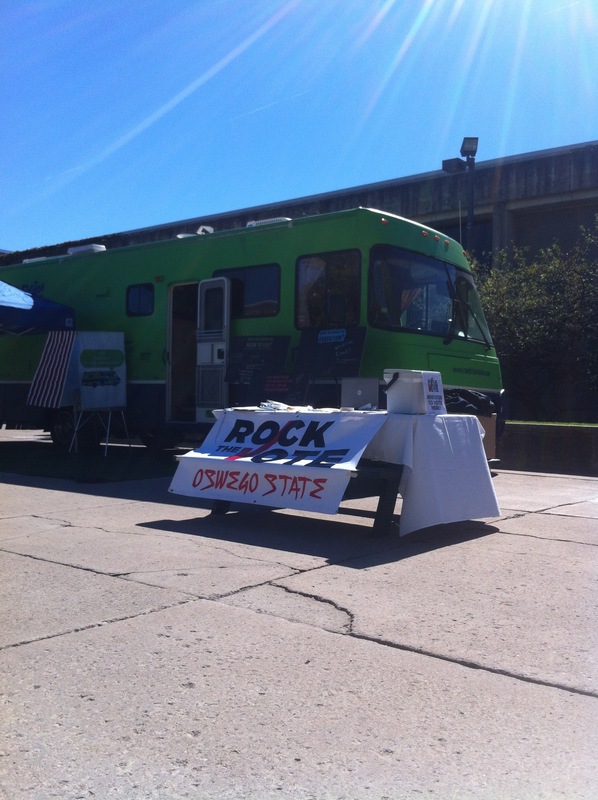 We’re hanging out with the Green RV and Roadtrip Nation with election information, registration forms, and free stuff! 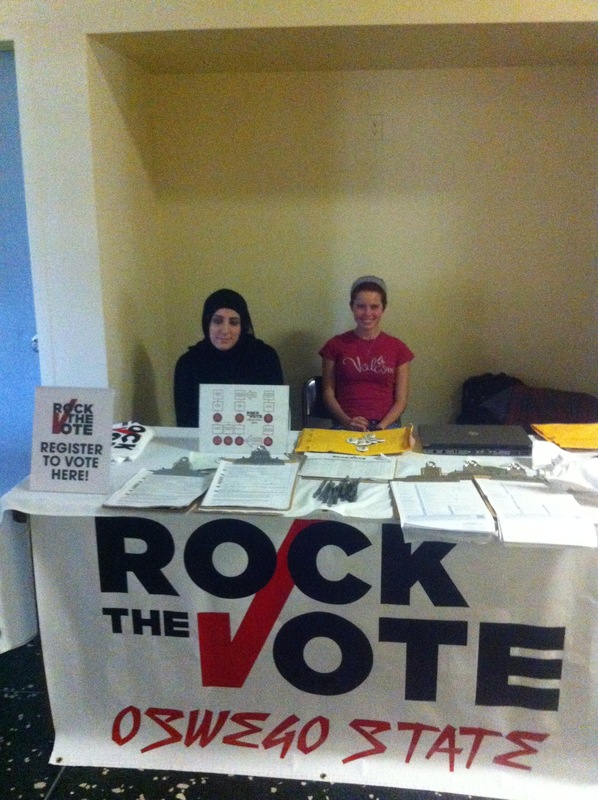 Stephanie, seen in the photo below, and Civic Engagement are at the ALANA Cultural Movement getting people registered to vote. 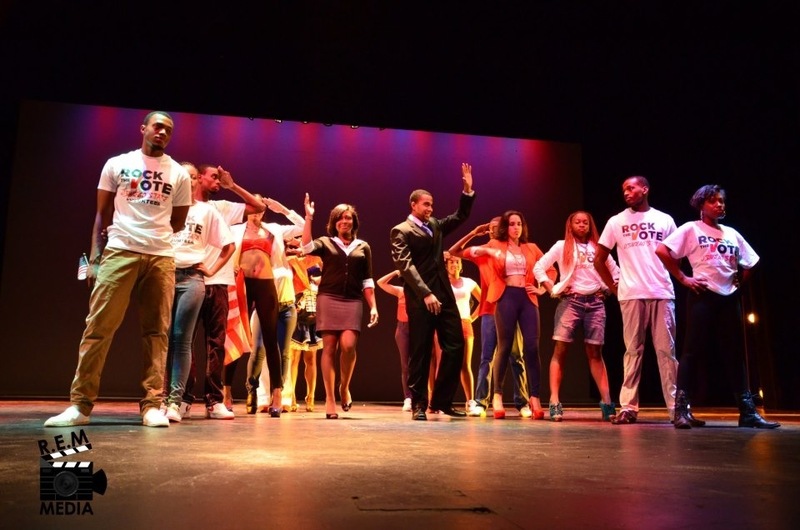 Come down, get a sweat on with some Zumba, be involved and engaged with your community, and register to vote. 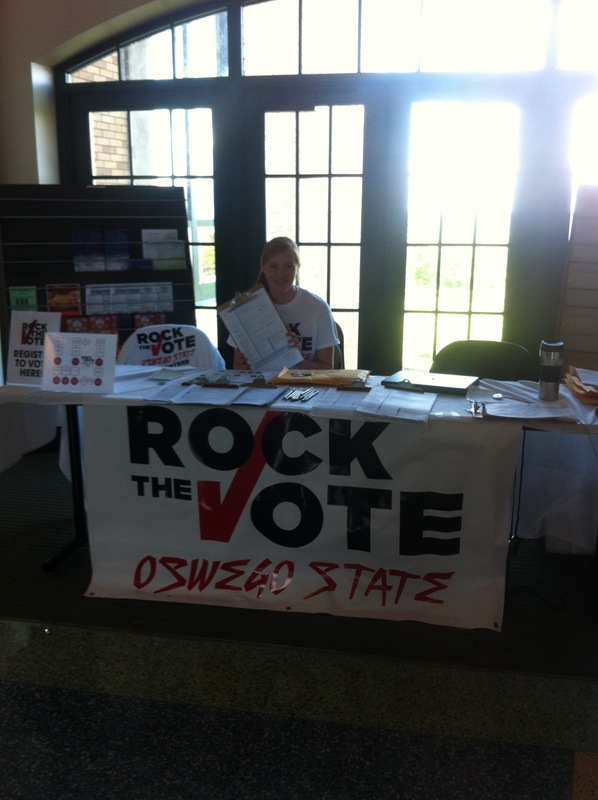 We’re hanging out in Cooper dining hall with election information. Stop by to register! 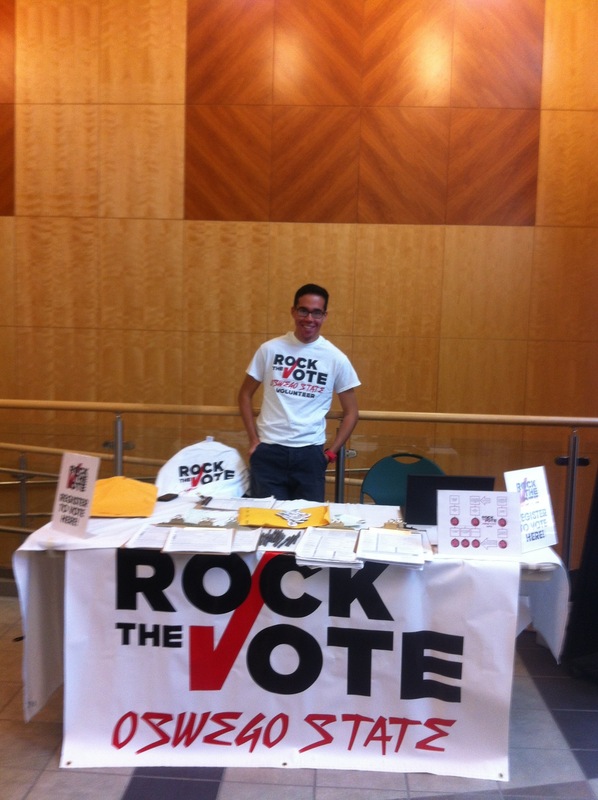 Francisco Perez (seen in the picture below) and Civic Engagement are hanging out in the Campus Center Concourse area at SUNY Oswego representing Rock the Vote. We have election information, registration forms, absentee ballot applications, and best of all…FREE STUFF. Come down, hang out, talk politics, and be engaged. Katie Ward, seen in the picture below, is helping out at our table in Johnson Hall. We have registration forms, election information, t-shirts and pins. 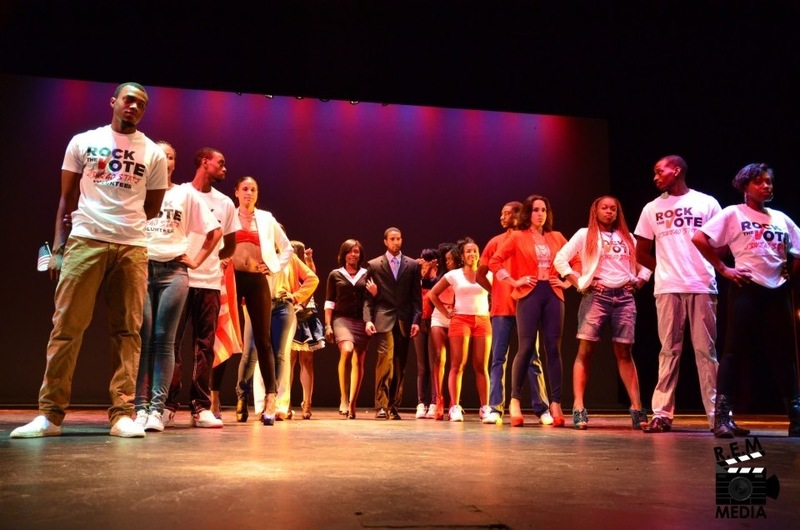 Lets get the word out about the election: get educated, be informed go vote.